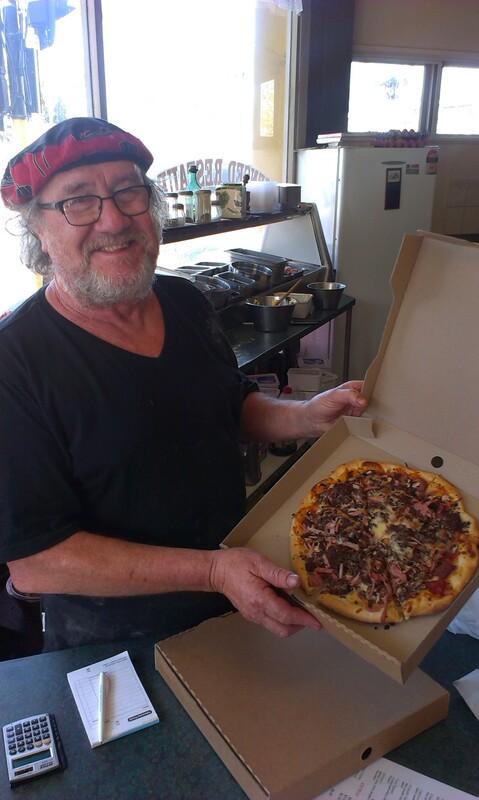 A Napier foodie era came to an end last night as Anthony Larrington-Lewer made, cooked and served his last pizzas. The name may not be too familiar, but his nom de plume ”Antonio” and the location of ‘Antonio’s Pizza and Pasta’ on the corner of Carlyle and Tennyson Streets has become a landmark ever since moving there in 1990. Over the years thousands of people must have sat at the lights on that corner on their way home from town, wondering what’s for dinner and suddenly been struck by an urge to have pizza! Originally opening in lower Emerson Street in 1979, Anthony never expected to be still making pasta and pizzas 35 years later, but “this is the way things happen” he tells me as we stop in to buy our last “authentico Antonio” pizza, pasta and garlic bread. 35 years is a very long time in any business, but even more so in the food industry – especially when you consider that same period saw such an immense increase in the number of and uptake of fast food outlets within close proximity of Antonio’s. KFC, Pizza Hutt, McDonalds, Burger King, Dominoes, Burger Fuel and various other Chinese and Indian restaurants and takeaways have all sprung up nearby, yet Antonio’s just kept going. His secret? Probably the natural, authentic way Anthony did things. He hand-made and kneaded the pizza dough and made the bases for each pizza as they were created. People loved watching their pizza being made in front of them. He used natural ingredients with no swathes of sauce smothering everything and made good, basic, Italian-style pizzas. Margherita (cheese, tomato sauce and basil or oregano – said to represent the red, white and green of the Italian flag), Marinara (seafood) and Napoletana (originating from Naples). There were also personal touches – The restaurant was kept as low-key and natural as possible – Anthony intended it to be like going for dinner at your Italian grandmother’s house. He even bought one of the original “Art Deco is SO Last Century” T-shirts I made years ago and wore it loudly and proudly every Art Deco Weekend. Thursday was Anthony’s last “public” open day, he is having a private function tonight (Friday) to say goodbye to friends and loyal customers. Antonio’s won’t be going away completely, though. Anthony has sold the business and plans to stick around and help out the new owners out a bit. He is looking forward to retirement, though and “doing all the things he’s wanted to do”. 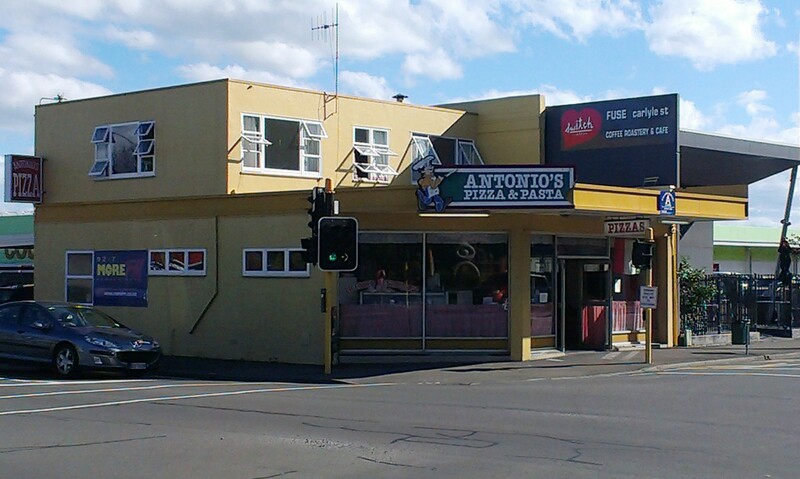 So “Arrivederci, Antonio!” Getting a pizza in Napier won’t be quite the same without you! 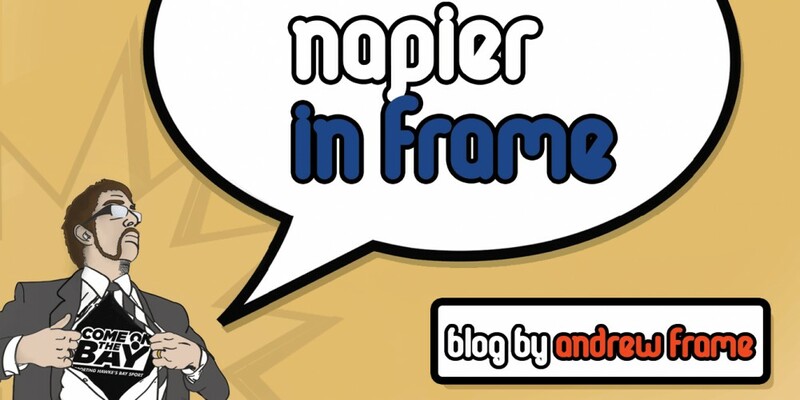 This entry was posted in Hawke's Bay, Humour, Opinion, Writing and tagged Food & Drink, Hawke's Bay, Humour, Napier, Opinion, Retail, Tourism by Andrew Frame. Bookmark the permalink. We’ve lost touch with Tony – knew him back in the 80s and 90s when we lived in Napier – do you – by any chance have contact details for him.